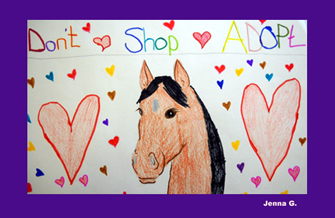 The first ever Best Friends Youth Art for the Animals Exhibit and Contest: You're invited to the opening July 2! Please join us to honor young artists from all over the country whose art expresses their love and commitment to help animals. NextGen from Best Friends is engaging young people in an exciting way to get them involved in helping animals. This exhibit uses their creative talents to broaden the public"s perception of the humane movement. Artwork poured in from around the country - for many this will be their first national group exhibition! You won"t want to miss the fun opening! Kids and teens, we will provide art supplies and paper at the reception, so you too can make art on behalf of animals and add your inspiration to the exhibit. When: Friday, July 2, 5:00-7:00 p.m.